The mastermind KCR is said to be a very busy day in and day out preparing all possible strategies to regain Power. 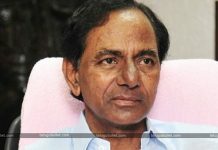 A close look at his fresh strategy which is aimed at his Opposition party is quite commendable.KCR is treating TPCC as the main threat to his victory due to its ploy of Mahakutami. Along with forming a counter grand alliance with Janasena and YSRCP, KCR is attacking the roots of Congress to crumble its fortress. For any party, the booth level politics and low-level cadre is very crucial to bring in the buzz. So the TRS Chief is now eyeing on these leaders like MPPs, MPTCs, Sarpanchs, and ward members of Congress. His main idea is to lure them into his party with any possible means of money, nominated posts, or even by blackmailing. According to KCR, if any party’s base level gets destroyed, it will be hard for that party to stand on its own. Not stopping there, KCR is going to repeat the last time magic of making a Congress leader share the dais with himself and sling mud on the National party. With these series of tactics, KCR is quite confident on winning the snap polls in the month of December. Meanwhile, the Mahakutami in Telangana is busy dividing their seat ratio.